Living it Large in Las Vegas’ Five Star Hotels Have you ever gone on holiday where you’ve felt like a VIP from the moment your plane touches down on foreign tarmac? You may have had enjoyable holidays in the past, and you may have even stayed in five star hotels in some of the world’s most famous cities. However if you haven’t been to Las Vegas yet, you might like to add it to your “places to visit” list. There is nowhere else quite like Las Vegas; but you can have your own piece of Las Vegas in your own living rooms by playing casinos slots no download, but in Vegas all of the elements come together to produce a magical place that is sure to make you feel just like a VIP. Luxury Las Vegas holidays are made possible with the range of jaw-dropping accommodation available to visitors, and luckily for you, I know a thing or two about the cream of the crop; the five star hotels. So if you’re looking to visit Las Vegas in the near future, here are three of my favourite hotels in the area that will have you living it large during your stay. Bellagio The Bellagio is a five star hotel that is recognisable around the world for a very good reason, it is utterly elegant and grand. This famous hotel is home to a 12-acre lake that features a mesmerising mix of water, music and lights, and also has Botanical Gardens in the lobby (of all places). You can make the most of the lake view if you upgrade your room, and you can also choose one of the suites if you really want to make the most of your visit. 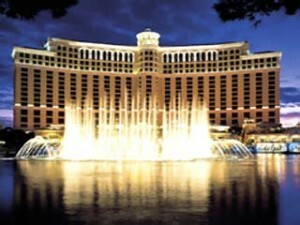 If you want to splash your cash and casino winnings, visit the shops in the Bellagio which include Chanel, Gucci and Prada. Caesars Palace Discover ancient Rome in Las Vegas at Caesars Palace, where columns, statues and fountains come together in five star themed extravagance. 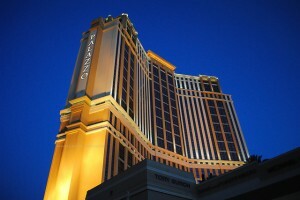 You’ll never be bored at Caesars Palace where you can make the most of concerts, clubbing, and of course, the casino. There are 11 restaurants in this hotel alone, making it a fine food haven for even the most seasoned connoisseurs. If you are looking to relax, retreat to the splendour of your hotel room or do a few lengths in the spectacular pool area. Palazzo Described as the classiest hotel on the Las Vegas strip, it’s hardly surprising that the Palazzo has been awarded with the title of one of the top 25 hotels in Canada and the US more than once. It’s made up of over 3000 suites and villas, and is home to a sumptuous spa where you can while away the hours in the lap of luxury. At the Palazzo you can make the most of 15 restaurants, 4 hot tubs, 7 swimming pools, 3 spas, nightclubs and the casino, as well as 50 shops and boutiques! After you’re done in, you can retreat to your luxury suite, which features a premium king sized bed, sitting area and mini bar. About the author : Rachael Parker is a party planner and is frequently asked to organise luxury Las Vegas holidays for her most discerning clients.